Keep on the look-out for the 10th Disney princess PEZ.. Soon to be found in a tall stone tower near you. 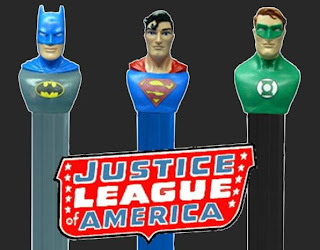 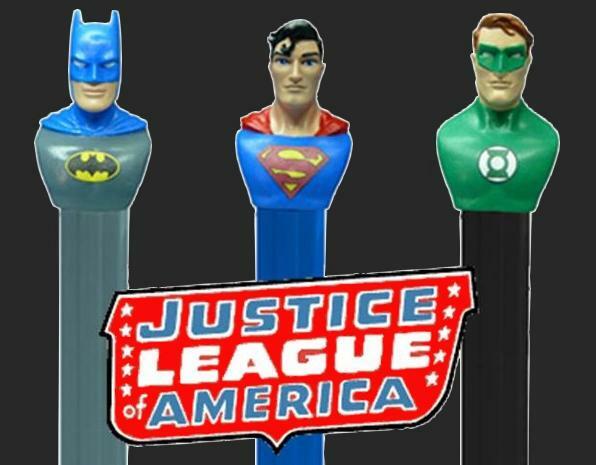 Coming at the end of the summer is a new super hero series - JUSTICE LEAGUE OF AMERICA which will include Batman (an old PEZ favorite with no less than 4 previous versions), Superman (a PEZ first) and Green Lantern (a PEZ first). 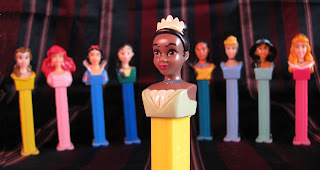 A second set of CARS 2 is planned for the release of the new Disney movie. 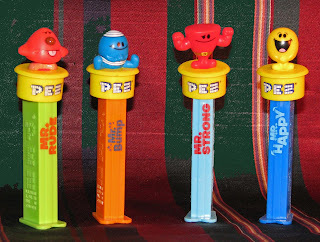 This is a unique, first ever type PEZ with a removable, operable vehicle. 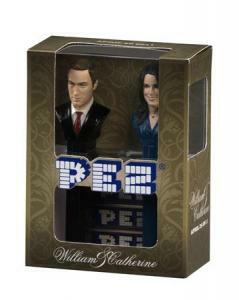 Release date is projected in October 2011 with 2 characters - McQueen and Mater. 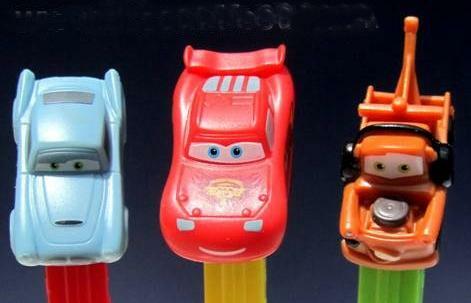 Keep on the watch for number 2 set of CARS coming out to go with the soon to be released Cars 2 movie. Finn McMissle (British spy sports car) joins Lightening McQueen (with new hood logo) and Mater (with headphones). 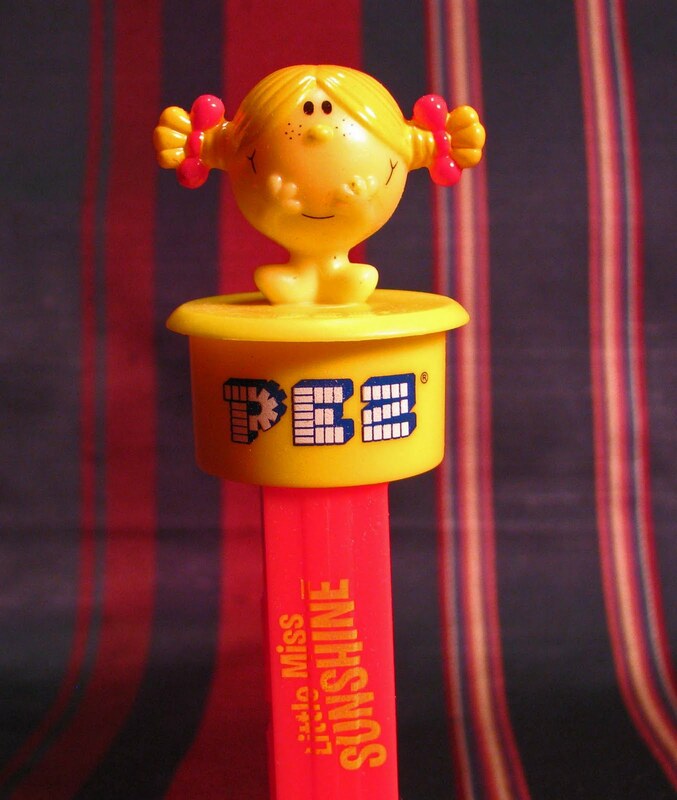 As a companion to Robbie's new MR. MEN set, the one and only Little Miss PEZ joins the collection in honor a Miss Sunshine herself - Marybeth. 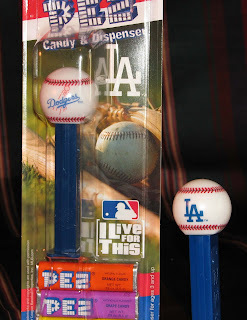 Is donated in honor of Daniel boy's 2nd birthday and makes in ball buddies with his dad. This is the just released NEW baseball with the "Dodger" name. 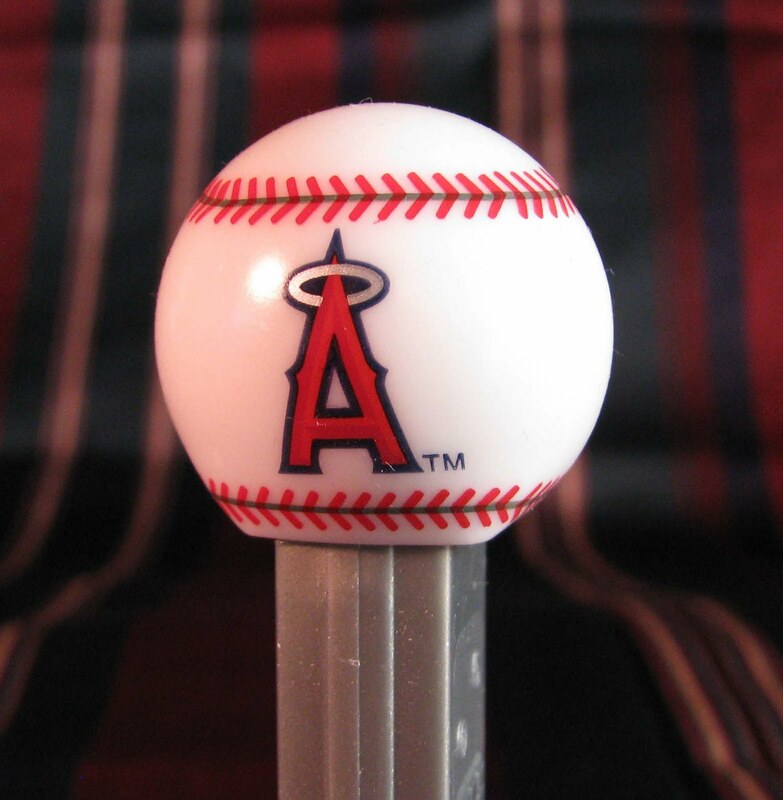 This goes with the previously acquired "LA" baseball. is royally donated to the PEZ MUSEUM in honor of 4 year old Miss Elizabeth and her princess dress-up birthday. Altho' this piece reportedly came out in 2010, it was HTF until recently discovered in a remote Dollar Tree in south central L.A.
is donated to the Cornwall Museum on behalf of Sarah's birthday being the closest to Easter. 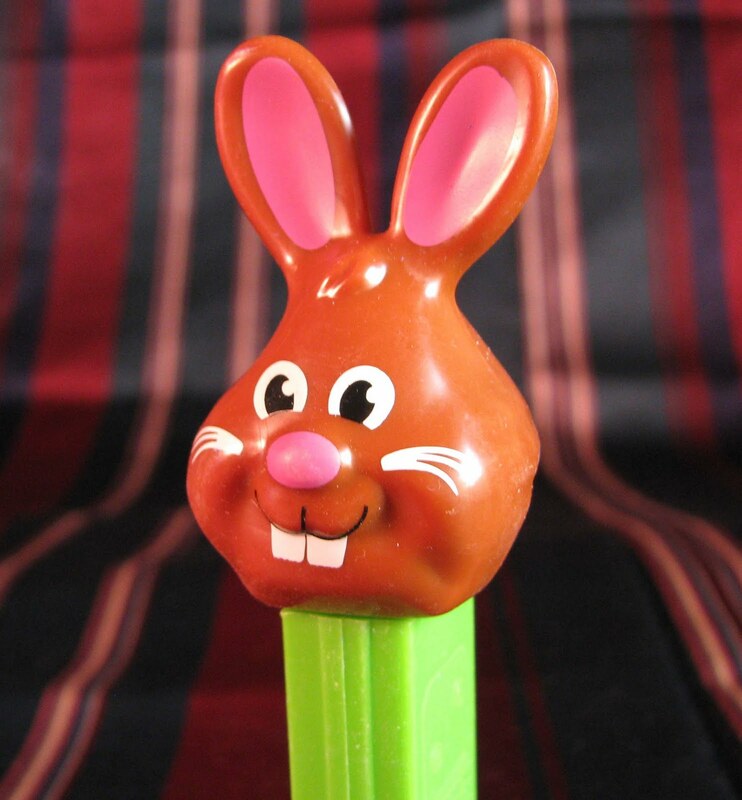 a brand new European series - is donated to the PEZ Museum. 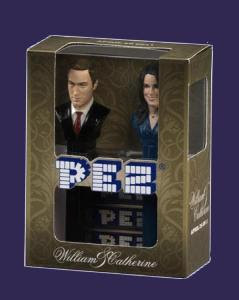 The donation of the unique click-n-play set is made in honor of the museums founder Robbie.